It is with great excitement that I announce this is my last post on Reds Internal Affairs. I have accepted the full-time position of Media Relations Coordinator with the Atlanta Braves. My duties will include baseball media relations efforts, 4-5 weeks at Spring Training in Florida and some in-season team travel. I am very excited for this opportunity to join a Major League club on full-time basis and continue to work in an area of this business that I have a great passion for. I will have fond memories of my time with the Reds. Please know that this is a first-class organization with great people. I have made some great relationships within the front office and also on the media side that I will carry with me forever. As for you, the fans. THANK YOU! Reds Internal Affairs began as an experiment that became one of the top-rated blogs in all of baseball. None of this would have been possible without you. I tried to bring you everything that I would want to see in a blog. From daily lineups and gamenotes, to interviews, to photos of my travels around the league… I hope you have enjoyed it all. Please continue to follow the Reds at http://ramsey.mlblogs.com/. It is very well done and comes from the mind of Jamie Ramsey, Assistant Director of Media Relations with the Club. He really does a great job combining Reds news with everything you wouldn’t normally see or even think about. Many, many thanks yet again. I hope to see you all in the NLCS in the near future. And for the last time… GO REDLEGS! 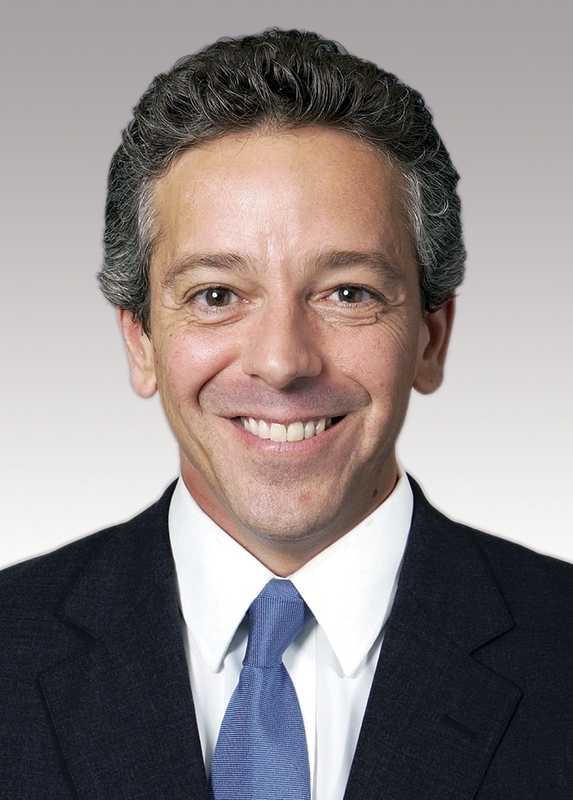 Cincinnati Reds Chief Operating Officer Phil Castellini today announced that Thom Brennaman has replaced George Grande as the club’s primary play-by-play announcer on games televised by FOX Sports Ohio and that longtime broadcaster Jim Kelch has joined the club’s broadcast teams for the 2010 season (see attachment above). For most of the broadcasts on the FOX Sports Ohio schedule, Brennaman will team with color analysts Chris Welsh or Jeff Brantley, but he also will work a handful of games on radio alongside his father, Hall of Famer Marty Brennaman. Brantley will continue his work with both radio and FOX Sports Ohio broadcasts. Kelch primarily will work radio but also will fill in for selected televised games. Brennaman, 46, returned to the Reds’ broadcast booth in 2007 after 15 seasons working for the Chicago Cubs and Arizona Diamondbacks. He also has broadcast college and NFL football along with baseball games of the week and post-season games. 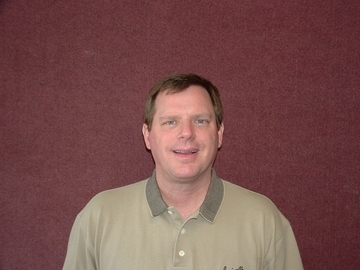 Kelch, 51, has been the play-by-play voice for Class AAA Louisville baseball since 1989 and the last two seasons filled in on Reds on Radio and Reds TV broadcasts. The Bats have been the Reds’ top minor league affiliate since 2000. Both Brennamans, Kelch, Brantley and Welsh will be attending this weekend’s FOX Sports Ohio Redsfest, presented by Kahn’s, benefiting the Reds Community Fund at the Duke Energy Convention Center in downtown Cincinnati. Grande retired following last season after 17 years working on the club’s TV broadcasts. TODAY’S NEWS: The Reds released their 2010 schedule with starting times (subject to change, see previous post)…on the main stage at 6:50 p.m. tomorrow night at Redsfest the club will announce its 2009 team award winners as voted by the local chapter of the Baseball Writers’ Association of America and its minor league players of the year award winners. REDS NIGHT WITH THE CYCLONES: The ECHL Cincinnati Cyclones will salute their Major League Baseball neighbors by wearing Reds-styled jerseys in Saturday night’s 7:30 p.m. game against the Florida Everblades at US Bank Arena…the jerseys will be auctioned off immediately following the game, with proceeds benefiting the Reds Community Fund…the first 2,000 fans in attendance will receive a 2010 Cyclones calendar, which includes an April feature on the Reds and their 2010 home schedule…hotdogs will be available for $1, courtesy of Cyclones and Reds sponsor John Morrell.
? With admission, fans will have access to autograph and photo booths featuring current and former Reds players, interactive games for kids of all ages, hard-to-find memorabilia and much more.
? Free Reds winter cap and free drawstring backpack to the first 10,000 fans each day.
? 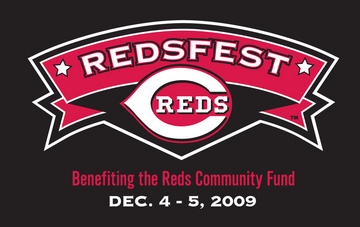 Expected to raise $100,000 for the Reds Community Fund and its baseball-themed outreach programs.
? $10,000 first prize for the Reds Community Fund Texas Hold ‘Em Poker Tournament presented by Prestige AV & Creative Services.
? Follow the Reds on Twitter (www.twitter.com/CincinnatiReds) and receive updates all weekend on which players will be in the autograph and photograph booths an hour in advance of each session!
? Brandon Phillips, Jay Bruce, Joey Votto, Bronson Arroyo, Chris Dickerson, Dusty Baker, 2010 Reds Hall of Fame inductees Chris Sabo and Pedro Borbon…and many more!
? Meet the stars of the 1990 World Series champs: Todd Benzinger, Glenn Braggs, Tom Browning, Eric Davis, Billy Hatcher, Barry Larkin, Hal Morris, Ron Oester, Joe Oliver, Lou Piniella, Sabo, Scott Scudder and Herm Winningham.
? Belterra Sports Bar with 10 TV’s showing live sports all weekend, including the UC vs Pitt game at Noon on Sat. Reds Holiday Ticket Packs on sale!
? Looking for the perfect gift this holiday season? The Reds Holiday Ticket Packs are available exclusively at Redsfest. Look for the green balloons to purchase the Reds Holiday Ticket Packs for just $20. 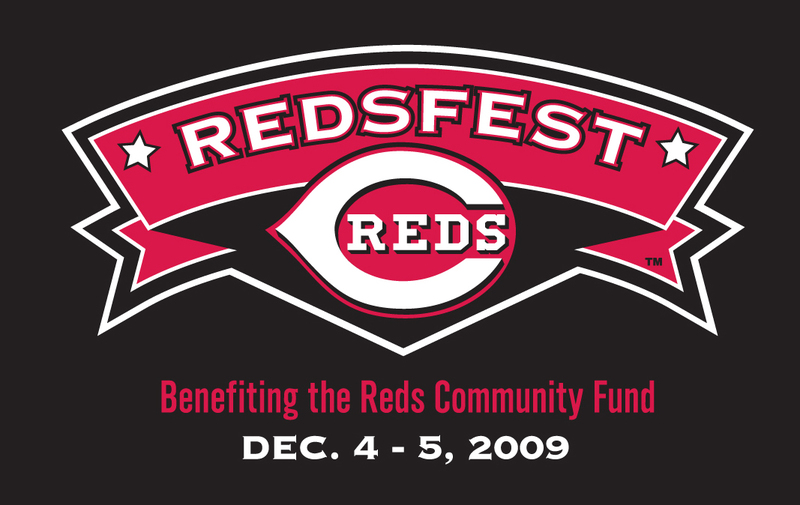 Includes a Reds hat and $20 gift certificate good towards the purchase of tickets for the 2010 season.
? Also on sale at Redsfest will be tickets to the “Opening Night” game on Wednesday, April 7 and the Reds Hall of Fame Induction Gala on Sunday, July 18.
? Get acquainted with the Reds new Spring Training home! Displays on hand to give you the feel of Spring and representatives from Goodyear, Arizona will be on-site to discuss what the city has to offer. Plan your springtime family vacation at Redsfest! Today the Reds released the full 2010 schedule with game times. See attachment above. Opening Day will be Monday, April 5 vs StL at 1:10pm. The annual Civil Rights Game will be Saturday, May 15 vs StL at 7:10pm and the 2010 Reds Hall of Fame Induction will be held in conjuction with Saturday, July 17th’s 7:10pm game vs Col.
TODAY’S NEWS: RHP Francisco Cordero has confirmed his attendance at Redsfest on Friday and Saturday…Barry Larkin, regular-season Most Valuable Player of the 1990 World Series championship team, will be available to the media Friday at 5:45 p.m. on the second floor of the Duke Energy Convention Center…Lou Piniella, manager of that club, will be available to the media Friday at 7:00 p.m. on the second floor…at approximately 6:00 p.m., all players will be congregating in the area behind the stage in preparation for the 6:10 introductions. LIVE ONLINE: Many of the Redsfest Main Stage festivities will be broadcast live via the internet at reds.com, including Friday’s introduction of all players (6:20-6:45), the 2009 team awards presentation (6:50-7:10), a Q&A with the 1990 World Series championship team (8:15-8:50), the FOX dating game (9:00-9:15) and a Cintas concert featuring The Rusty Griswolds (9:30-11:00)…Saturday’s online broadcasts will include a concert by Bronson Arroyo and Elon Trotman (1:30 to 2:20) and the Playstation Longest Hit Challenge featuring Joey Votto (5:35-5:50). THE CAPTAIN RETURNS: Reds Hall of Famer and 12-time National League All-Star SS Barry Larkin is scheduled to attend Redsfest festivities on Friday…Larkin was club’s Most Valuable Player 4 times in his career, including the 1990 World Series championship season…he was 1 of 15 first-time candidates on this year’s National Baseball Hall of Fame ballot announced last week. LIVE FROM REDSFEST: Reds on Radio flagship 700 WLW will broadcast live from the Duke Energy Convention Center floor from 6:00 to 7:00 p.m. on Friday…also on Friday, Dayton affiliate WONE Radio will broadcast live from 3:00 to 7:00 p.m. and Cynthiana (KY) affiliate WCYN Radio will be live from 7:00 to 9:00 p.m….on Saturday, broadcasting live from the heart of Redsfest will be Zanesville affiliate WHIZ Radio from noon to 2:00 p.m., Richmond (IN) affiliate WKBV Radio from 2:00 to 3:00 and Pikesville (KY) affiliate WLSI Radio from 3:00 to 5:00. REDSFEST TICKETS: Tickets for FOX Sports Ohio Redsfest, presented by Kahn’s, benefiting the Reds Community Fund are on sale via the internet at reds.com, by phone at (513) 381-REDS, at all area Meijer stores and at Great American Ball Park administration offices…the popular fan festival will be held at Duke Energy Convention Center in downtown Cincinnati Friday from 4:00 to 11:00 p.m. and Saturday from 11:00 a.m. to 7:00 p.m….1-day tickets are $15 for adults and $7 for fans 12 and under…2-day tickets are $20 for adults and $10 for kids. Today the following letter from Mr. Castellini and attached bio (see above) on Barry Larkin was sent to voting members of the BBWAA, who have until December 31 to return the ballot. The announcement will be made January 6. 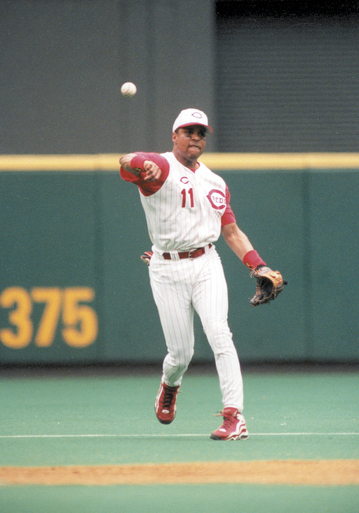 As you prepare to vote for the National Baseball Hall of Fame’s Class of 2010, please accept this letter in support of Barry Larkin. The Cincinnati Reds organization is extremely proud of Barry’s accomplishments during an extraordinary 19-year Major League career, spent entirely with his hometown team. On and off the field, Barry represented himself and the Queen City with the class and professionalism consistent with the ideals of Major League Baseball and the Hall of Fame in Cooperstown. Even today, he continues to be one of our game’s greatest ambassadors. On the following two pages, please review Barry’s remarkable accomplishments produced over what the Reds family feels is a Hall of Fame career. On behalf of our organization and Barry individually, I thank you for your consideration. Yesterday the Reds added to the 40-man roster RHP Enerio Del Rosario, OF Chris Heisey, RHP Logan Ondrusek, RHP Jordan Smith, IF Chris Valaika, LHP Philippe Valiquette and LHP Travis Wood…the Reds also outrighted off the roster RHP Daryl Thompson, while OF Laynce Nix refused an outright assignment and elected free agency…C Craig Tatum was claimed off waivers by Baltimore…the Reds current 40-man roster (attached) includes 40 players. SWEET LOU: Lou Piniella, manager of the Reds’ 1990 World Series championship team, will attend Redsfest on Friday, December 4. Piniella, along with members of that 1990 club and current and former Reds players, will be introduced on the main stage at 6:30 p.m..
REDSFEST: FOX Sports Ohio Redsfest, presented by Kahn’s, benefiting the Reds Community Fund will be held at Duke Energy Convention Center in downtown Cincinnati on Friday, December 4 from 4:00 to 11:00 p.m. and Saturday, December 5 from 11:00 a.m. to 7:00 p.m….1-day tickets are $15 for adults and $7 for fans 12 and under…2-day tickets are $20 for adults and $10 for kids…tickets are on sale now via the internet at reds.com, by phone at (513) 381-REDS, at all area Meijer stores and at Great American Ball Park administration offices.